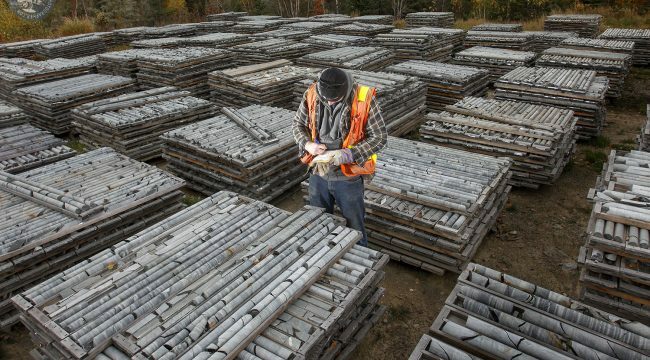 A Geologist takes notes of the thousands of core samples stacked column after column at this Northern Ontario Mine Site. Just because it’s -32 degrees Celsius outside doesn’t mean we get a day off from doing our jobs. The core samples don’t stack themselves nor do they care what temperature it is. Photographing on site in the cold Winter months does have it’s challenges. Equipment freezes up, batteries drain faster, and fingers go numb. In the Summer months when I am underground at +32 degrees I wish I was topside and in the Winter months on days like today I wish I was underground enjoying the warm humid stale air. In the end though it’s all about getting the job done and being prepared for what the environment has in store that day. We look at the bright side here in Northern Ontario, the 4 seasons always have beauty for us to see, even if our eyeballs are frozen in their sockets. Last week I had the opportunity of starting the photo archive for my new client Gowest Gold along with the pleasure of having Chief Mine Geologist Rochelle as my tour guide. As usual I always like to create an image of the people on site and especially those who are taking the time to show me around. I hear a lot of the same responses when I ask if they would like their portrait taken and the most popular are “I hope you have a good camera”, “I have never taken a good picture” and my favorite “ugh”. Over the years I have heard them all and I have learned to quickly squash any doubts or nervousness about the portrait. I have my ways, but the key ingredients are professionalism and personality. I always tell them “I will never keep a bad image of you and I guarantee you will like your photo or YOU can hit the delete button on the back of the camera.” In the end, they love their images. 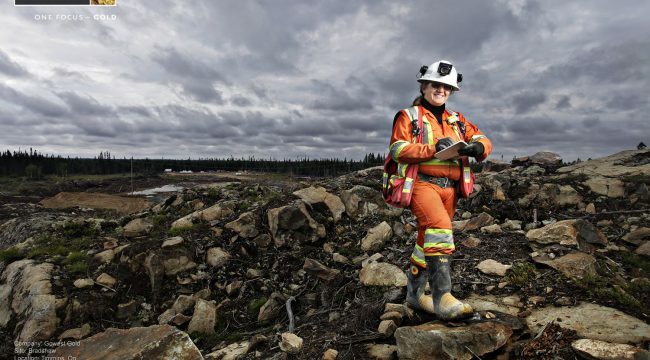 A Geologist takes notes of the thousands of core samples stacked column after column at this Northern Ontario Mine Site. 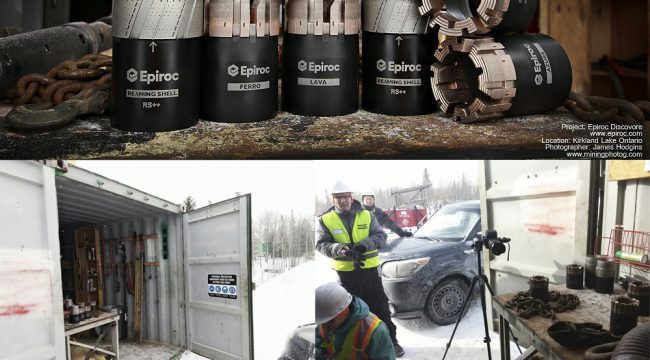 These Core samples are obtained by drilling into the rock using a core drill tipped with a Diamond Drill Bit. The core samples are then analysed to detect the properties of metals and alloys. An image I created for friend at Transition Metals Corp has found it’s way to the cover of the latest issue of Ontario Prospector Magazine.